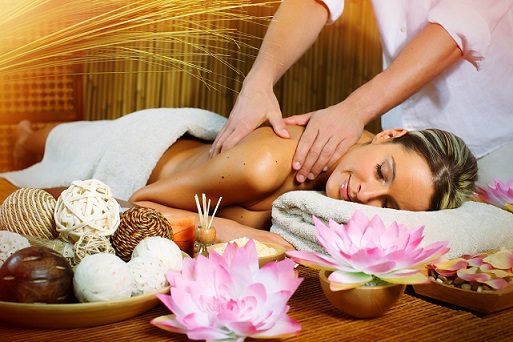 The spa and wellness industry has boomed over the years, and with good reason. These days, many people set aside time and money not only for material things, but also for experiences, searching for those that are one of a kind or those that simply offer a twist on familiar comforts. As such, it’s probably the best time to make fruitful new investments for your spa business based on the times. What approach should you take? Here’s a short, but interesting list of strategies that will allow you to offer the perfect de-stressing experience for your future clients—one that starts us on the five senses of sight, hearing, smell, touch, and taste. First, think of ways to make the spa experience a feast for the eyes. Integrate your brand’s colors and images in your premises’ surroundings in ways that are pleasing to the eye. Decide on fixtures like the furniture, as well as ornaments like pottery and plant life that will decorate the spa. Whether it be by installing an indoor wall fountain, getting new floor lights, or adding simple pops of color and function with new vases or tapestries, incorporating new design elements will allow you to create a memorable atmosphere in your spa. Tailor it to your client’s expectations of spending even just a few hours in a zen sanctuary or a tropical paradise. After its sights, enrich the sounds that befit the spa experience. Incorporate a variety of both natural and contained sounds. Clients will already associate sounds like splashing waterfalls, ocean waves, or rustling leaves with uprooting from the busy spaces of their lives and losing themselves in the moment. Combine these ambient noises with the perfect soundtrack of relaxation, such as meditative music, instrumentals, or other slow, easygoing tunes. Not to be forgotten is your clients’ sense of smell. Be mindful of the scents that they will encounter from each feature of the spa—saunas, pools, and massage rooms, as well as the comfort rooms, lobbies, and corridors. Scents can be used well in marketing your spa’s experience, but don’t forget that word of mouth also prospers on the very basic things! When redesigning your spa, don’t just add a menu of fragrant aromas, but update any protocols to keep the facilities at their cleanest and most well maintained. Touch is a foremost language in the spa. What your clients most probably look forward to is a thorough massage or a good soak in the water. They’ll retain important memories of their skin feeling fresh and rejuvenated, or joint pain being eased—and that will motivate many to come back. See if it’s worth it to tweak any of your facilities to enhance the sense of touch, and invest in towels, robes, beddings, or furniture that exude quality service. Last but not least, include taste and refreshment in the full spa experience. If your establishment does not offer a wide range of food and drinks to be enjoyed outside of the spa facilities, ensure easy access to drinking water. All the same, be happy to direct your customers to food and drinks that they’d love after a few hours of pampering, such as hot soup, tea, and coffee. These are just a few suggestions for you to keep your spa up-to-date and appealing for first-time and repeat clients. Don’t be afraid to get creative; offer spa-goers a premium de-stressing experience that will not only expose them to, but immerse them in good old-fashioned rest and relaxation.